Sounds of construction equipment and walking on detoured paths around campus are two things many Messiah students have become accustomed to this semester – but what exactly is the update on the construction process? 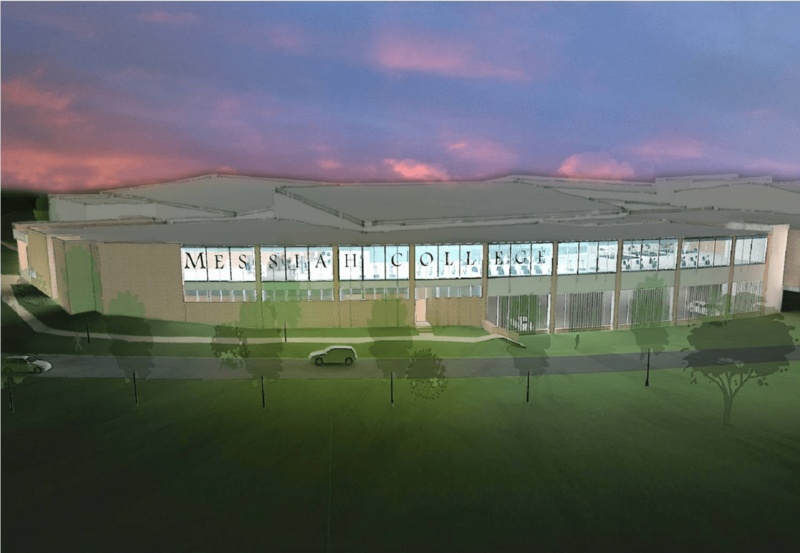 There are big changes in store for the campus in the next two years, according to Kathie Shafer, the Vice President of Operations at Messiah. “The dining hall is a two part construction. We are adding the outside dining addition, called The Alumni Plaza, and we are also fully converting to natural gas next year because it is a less expensive and more reliable utility. We are also planning to add more seating to the pool, remodel the fitness center, and add another gym for more recreational sports,” shares Shafer. The Alumni Plaza, phase one of the construction, is expected to be finished by the time students return from spring break this academic year and the fitness center renovation is currently set to be finished in the fall of 2017. The Alumni Plaza is being built off of Lottie Nelson Dining Hall and will be named in honor of a different reunion class each year, with the Class of 1990 being the first. The Plaza will offer 200-250 additional seats and remain somewhat closed off from the main dining area. “[The Alumni Plaza] will be designed with a separate entrance so that the College can hold events and not impact students. 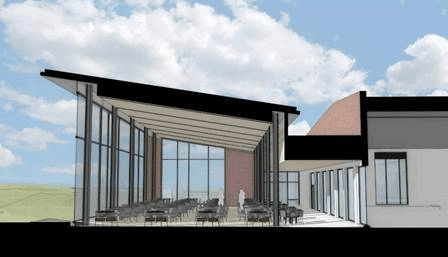 So during open houses and other events, students will be given their space in the main dining area while guests are seated in the Plaza” says Shafer. In the future, the kitchen and food service areas in Lottie will also be remodeled to feature more cooked-to-order options. In addition to the dining hall, phase two of the construction will include several changes made to the Sollenberger Sports Center. The amount of exercise equipment will nearly double and added windows will provide a view of Cemetery Hill. The weight room will move to the upper level and plans for a group exercise room will provide more opportunities for exercise classes. A two-court gymnasium will be constructed between the fitness center and Brubaker Auditorium for recreational sports while Hitchcock Arena will feature a new scoreboard, video screens, movable bleachers, and new flooring. The renovation will also feature spectator seating for the pool area, an extension to the wrestling room, and additional locker rooms. Students of Messiah have various opinions on the current and upcoming construction. “I think the Lottie addition is a good idea because of the additional seating. As for the fitness center, I’ll have to deal with the inconveniences of construction and only get to benefit from it for a short time before I graduate,” says sophomore Mary Stiffler. Sophomore Jess Gallup adds, “I think the current construction is a little obstructive. The dining addition is a great idea for the extra space when needed for special events, but I think the gym renovations, while interesting, are a little unnecessary and a little too much money. We could be improving other things”. For more information on construction progress as well as regular updates, visit the Facility Services webpage at www.messiah.edu/homepage/2035/student_enhancement_projects.